Well I’m here! 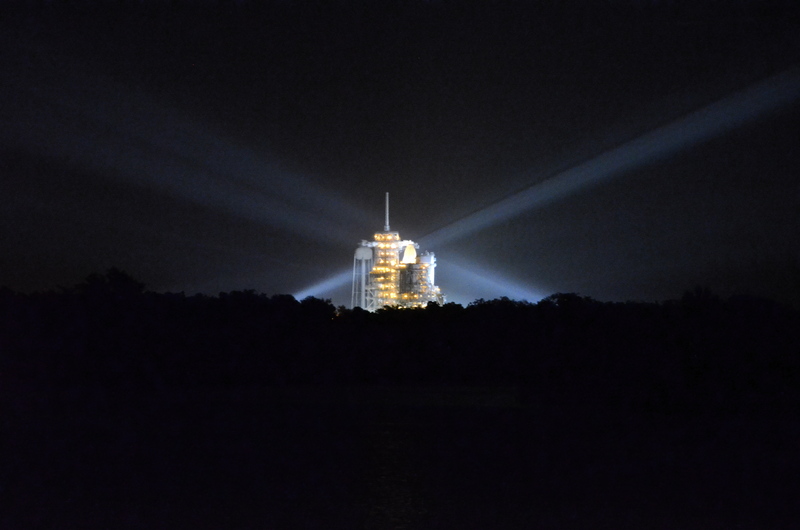 I have spent the past 24 hours in and around Kennedy Space Center, getting the VIP tour and seeing things that I have only dreamt of… the Vehicle Assembly Building, the Crawler-Transporter, the Causeway…and, of course, the launch pad with the final shuttle, Atlantis, ready and waiting for launch! Of course, that all depends on the weather today…yesterday it rained buckets on the Tweetup tent (that’s “twent” to those in-the-know) and today it seems to be clearing and tanking was “go” this morning but there’s still a 70% chance that the weather won’t cooperate. Still, we Tweeps remain hopeful. And Atlantis looks so pretty there across the pond….stay tuned!